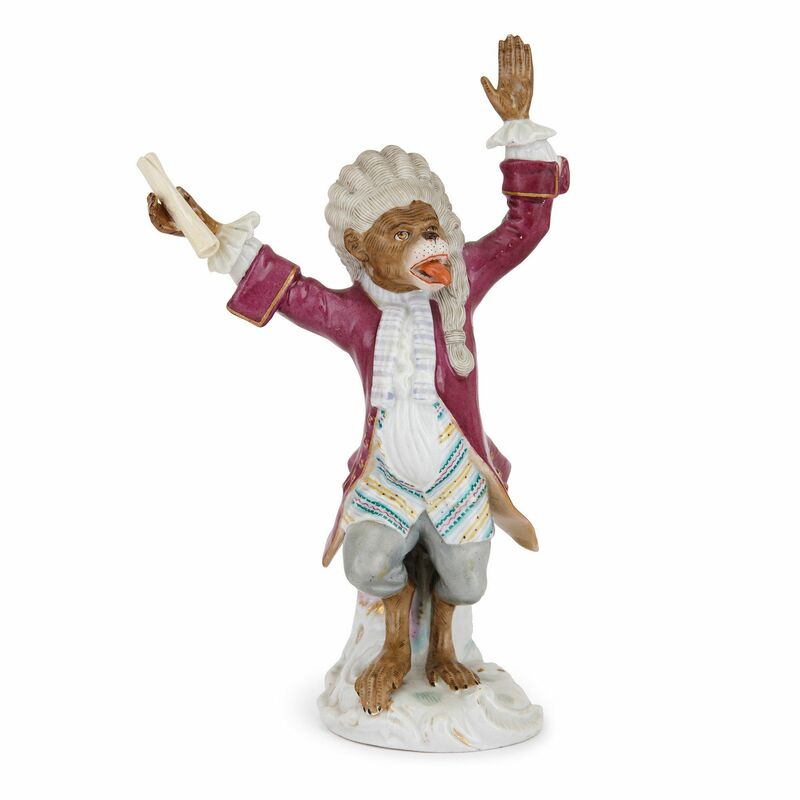 This humorous and charming set of nine Meissen porcelain monkey figures are styled as an orchestra, with each piece expertly modelled and painted. 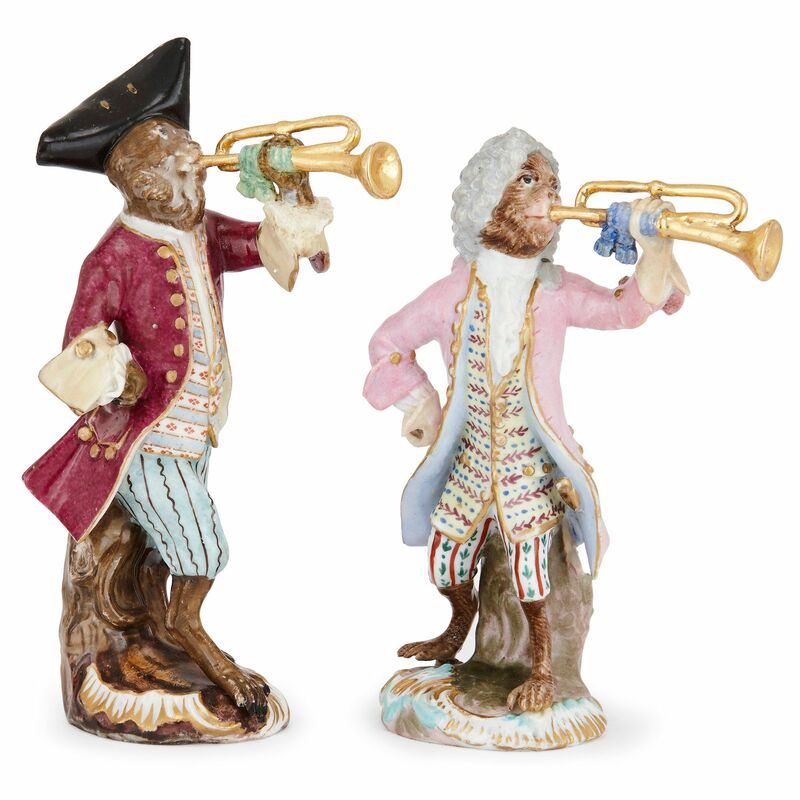 The set of monkey figures comprises eight musicians and a conductor. 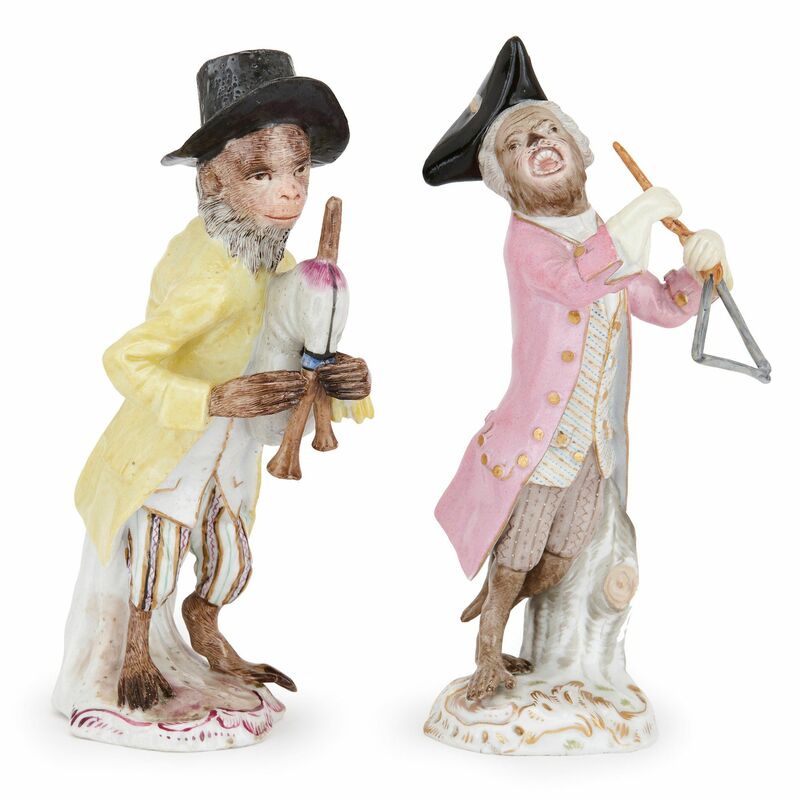 All of the monkey figures are dressed in 18th Century style clothing, featuring powdered wigs and colourful dress coats, and carry animated expressions. The conductor is identifiable as he holds up his arms and a scroll with his tongue stuck out. 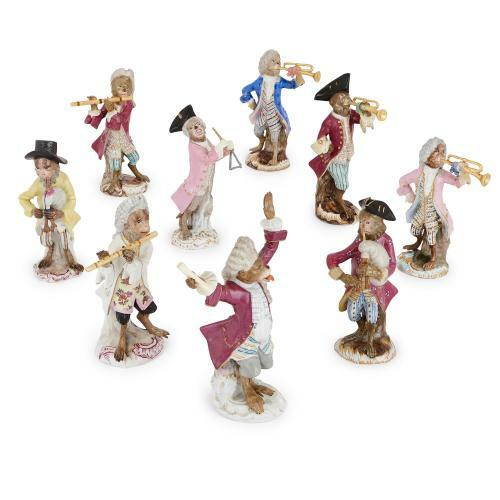 The eight musicians include two trumpeters, two bagpipe players, a triangle player and two flautists. 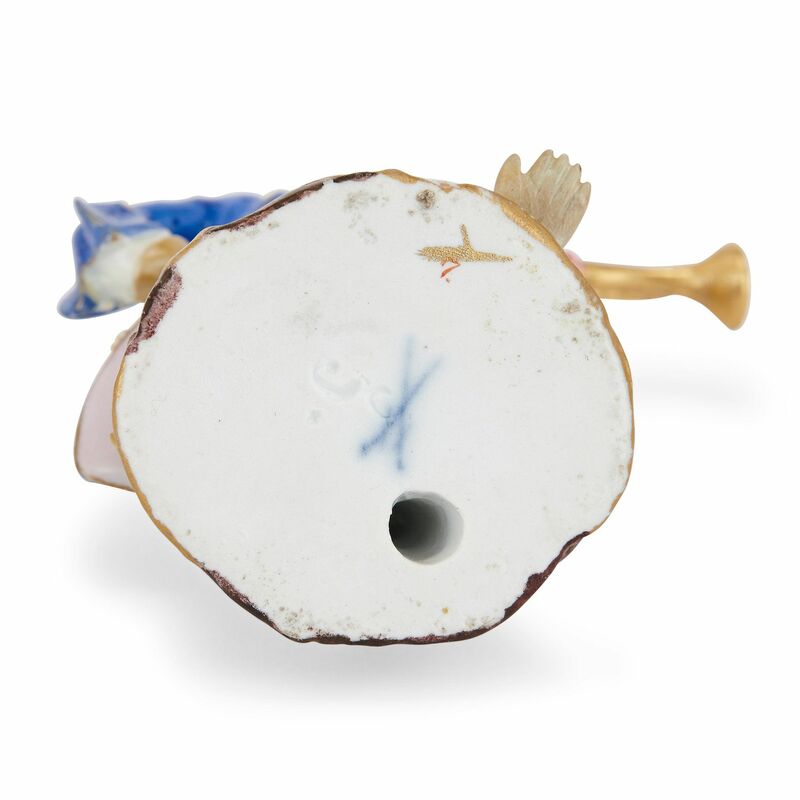 Each of the pieces bear the crossed swords mark of the Meissen Porcelain Manufactory. 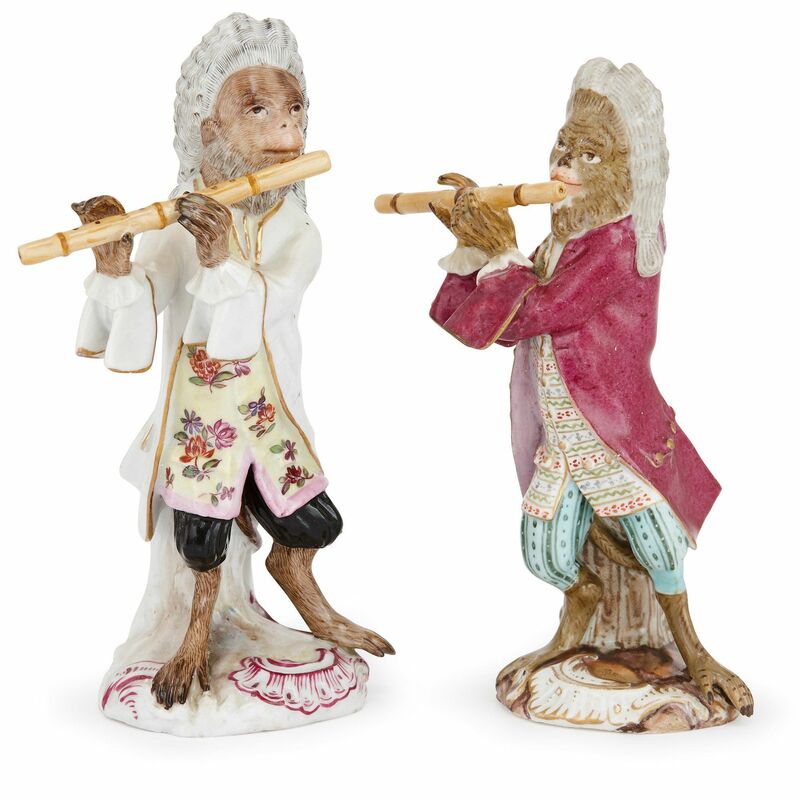 These models take after the famous monkey orchestra produced in the 18th Century by the Meissen factory. 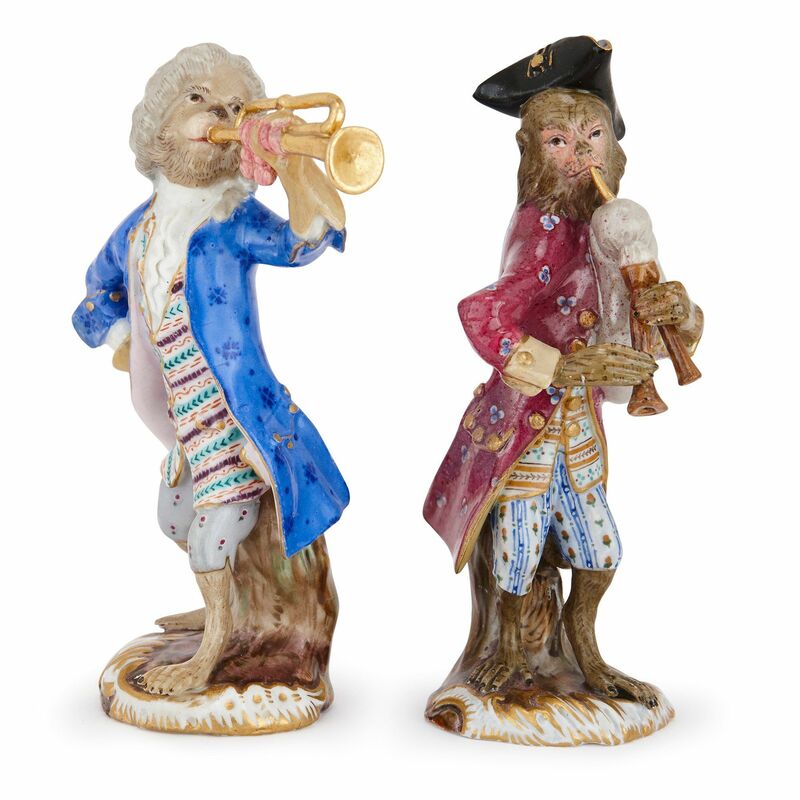 The monkey orchestra was considered to be one of the finest works of porcelain art by perhaps the most celebrated modeler of the Meissen porcelain manufactory, Johann Joachim Kändler (German, 1706-1775), who was known for his playful, Rococo-style miniature figures.